The Honourable Marc Garneau Visited Our School! It was a pleasure to host The Honourable Marc Garneau at our school this morning! Garneau spoke to our students about the affects of climate change and what we, as individuals, can do to help reduce greenhouse gases. He also mused about his time in space and shared personal stories that inspired students! 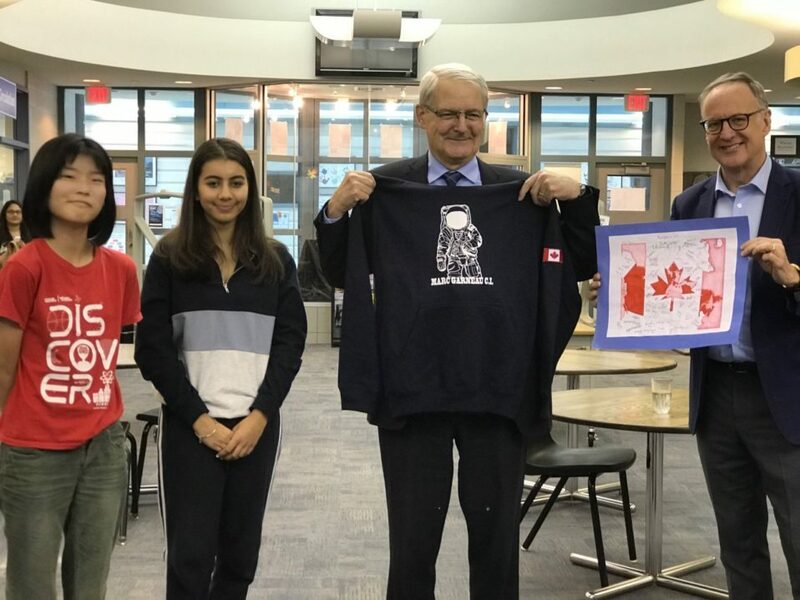 Garneau was joined by Robert Oliphant, MPP for Don Valley West, who also encouraged students to look to the future with hope and optimism. MGCI students present Garneau with a specially designed sweatshirt that read ‘The Original Garneau’ on the back. Thank you to both Garneau and Oliphant for making the time to visit our school. Your ticket for the: The Honourable Marc Garneau Visited Our School!